Daily Pakistan Newspaper Has announced 03 New Jobs in Municipal Corporation Faisalabad advertised on 17th March 2018. These Jobs are on Contract Basis and only for Disabled Persons. Interested Candidates who fulfill the requirements may apply for Jobs in Faisalabad 2018 against the title of Computer Operator online at www.punjab.gov.pk. Candidates should have good eyesight as well as both hand work properly and he can work easily by sitting on Chair. 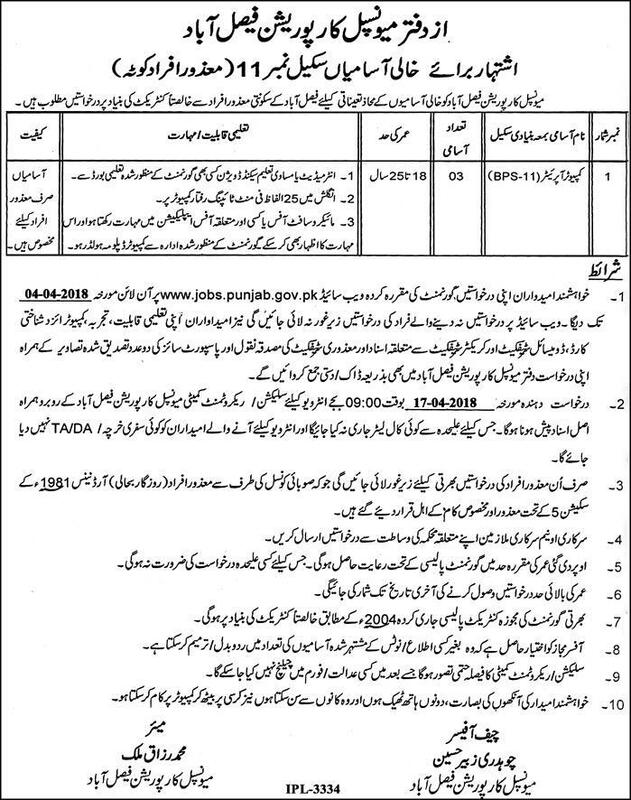 Municipal Corporation Faisalabad 03 Jobs Daily Pakistan Newspaper 17 March 2018.